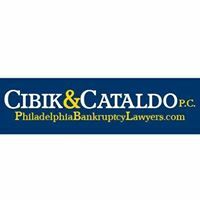 Cibik & Cataldo, a Philadelphia bankruptcy law firm, has provided superior, cost-efficient, and value-oriented legal services in a compassionate and respectful manner to thousands of clients. The Philadelphia law firm concentrates solely on consumer and business bankruptcy matters. Debt consolidation attorneys Michael A. Cibik, Esq. and Michael A. Cataldo, Esq. are both certified by the American Bankruptcy Certification Board and have filed well in excess of 20,000 personal bankruptcies. ABC Certification provides an objective standard that assists the public in making informed decisions when choosing counsel. Additionally, ABC certification encourages attorneys to strive toward excellence and recognizes those attorneys who have met ABC’s rigorous standards.